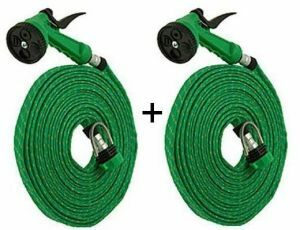 Portable 4 Mode Water Spray Gun is ideal for garden watering and vehicle cleaning, camping, etc. 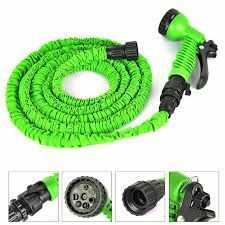 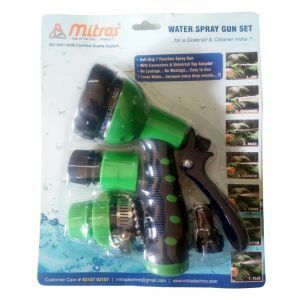 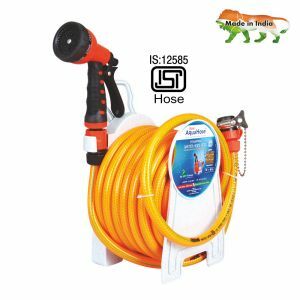 The gun is made of hard plastic material, and the flexible hose is constructed of soft plastic material with nylon fabric braid jacket for comfort and durability. 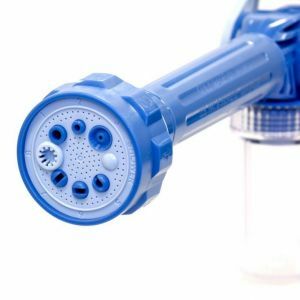 Adjustable head rotates between each spray mode, including FLAT SPRAY, SHARP STREAM, GENTLE SHOWER, and FULL ACTION. 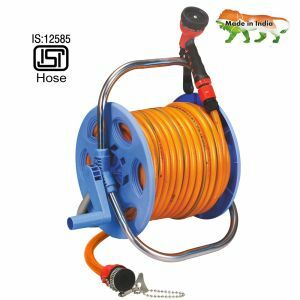 Reinforced 2 layer design delivers exceptionally long life for the hose and enhances the working pressure and burst strength. 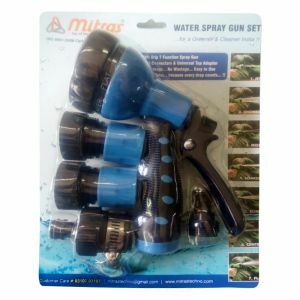 Easy to install, this Garden Water Gun can be mounted in seconds. 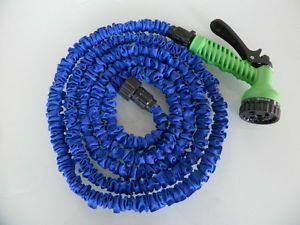 Rubber connector for taps with a hole which measures approx Length:10 mtr. 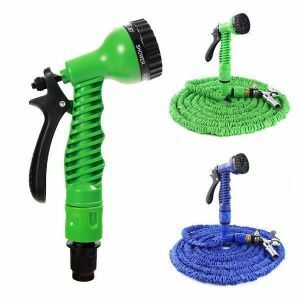 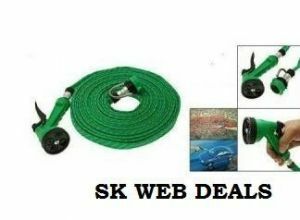 This Pipe Water Spray Gun is great for gardener and car etc.